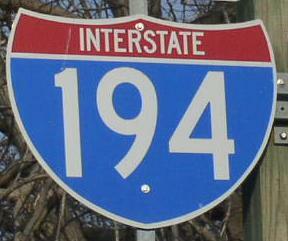 Interstate 194 is a short expressway into Downtown Battle Creek from Interstate 94. The entire length is multi-plexed with Michigan State Route 66. The highway is aprox. three miles long. 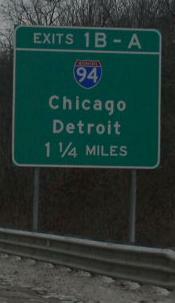 While in Michigan, I-194 is multi-plexed. 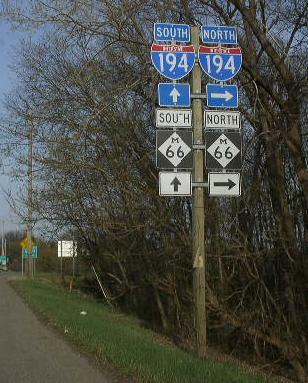 ...Michigan State Route 66, at Battle Creek. 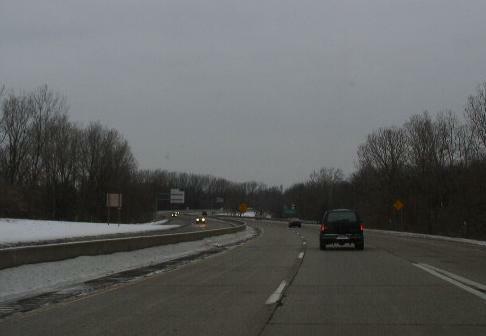 ...BUSN Loop I-94, at Battle Creek. 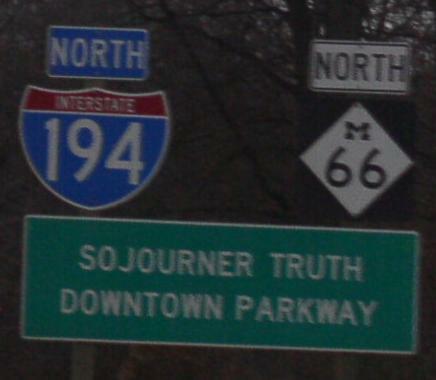 In Michigan, Interstate 194 crosses the following interstate. 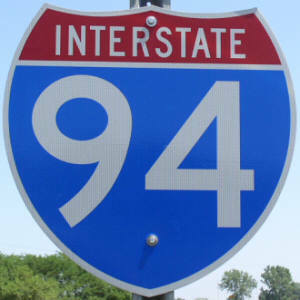 Interstate 94, at Battle Creek. 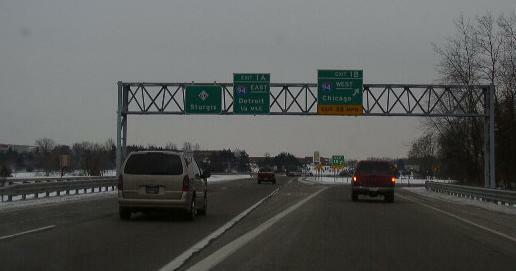 A BGS on SB I-194. Info on the parent route to I-194. 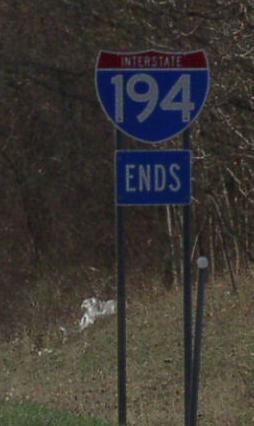 A guide marker on BUSN Loop I-94 in Battle Creek. NB I-194 north of MI St Rt 96. 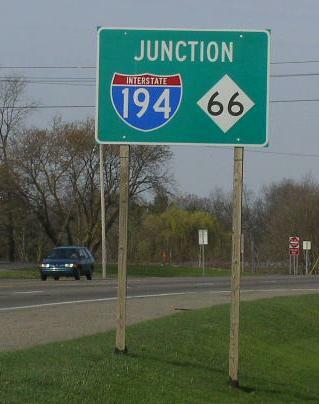 A junction marker on WB MI St Rt 96. 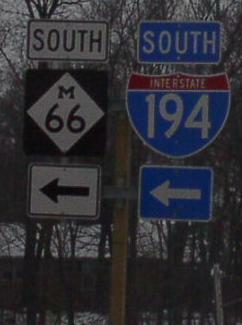 A set of guide markers on WB MI St Rt 96. 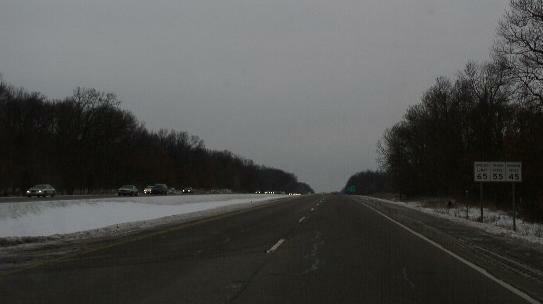 NB I-194 north of I-94.